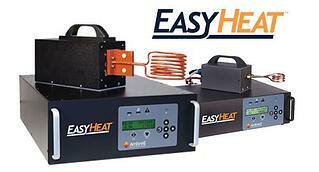 Ambrell’s EASYHEAT 2.4 kW power supply with a custom-made multi-turn induction coil turned out to be the perfect solution for the application. The wire was placed in the coil in a ceramic liner and coated with Templiaq paint for temperature measurement. The heating time was only 1.8 seconds, which corresponded with the desired scanning speed of 5 m/min. The customer was delighted with Ambrell’s best-in-class lab service and the timely, extensive test report and system recommendation it received at the end of lab testing. These results led to improved production rates and the more efficient use of on-site resources, such as space and utilities. Ambrell offers induction heating expertise based on over 30 years industry experience. To learn about more induction heating applications including other wire heating applications, visit the Induction Applications section of the Ambrell website. We also encourage you to fill out a lab service request form so that we can test your application and recommend an optimal solution for your heating application.